DJ CHONZ & The Radio Bums Present: Say Werrrd? Saturday nights at Bar Standard it's Say Werrrd? 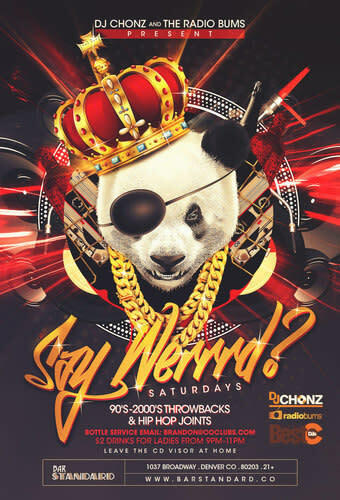 90s & 00s Throwback Joints presented by DJ CHONZ & The Radio Bums. $2 Drinks for Ladies from 9PM-11PM.